Utah has 46 designated opportunity zones, all of which are low-income communities. Utah did not designate any eligible non-low-income contiguous tracts as opportunity zones. Statewide, a large majority of Utah’s census tracts are deemed urban — 88 percent. 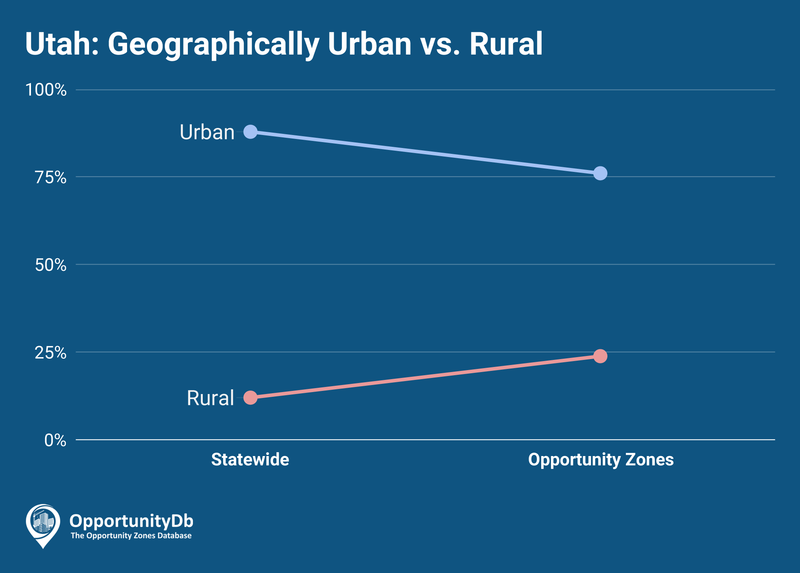 But only 76 percent of the state’s opportunity zones are urban, and nearly one-quarter are rural. Salt Lake City is home to nearly one-third of the state’s 46 opportunity zones.